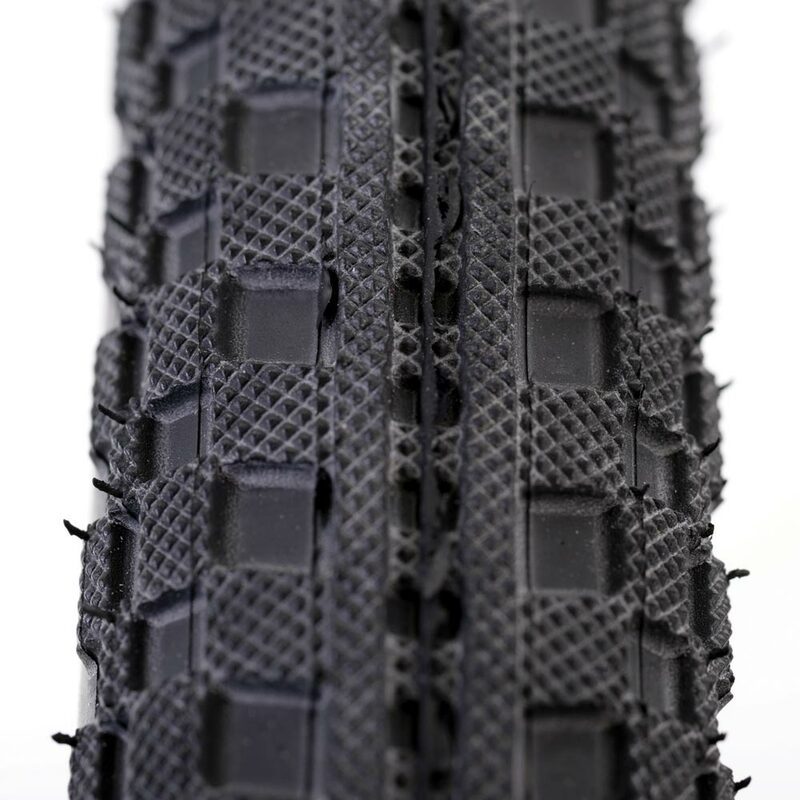 Utilises 2 central rails (ridges) for reduced buzz on hard surfaces, but features drive ‘sleepers’ between the ‘rails’ to give traction on loose surfaces (Halo patent pending). 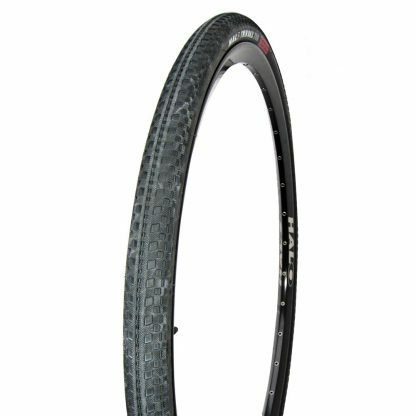 Also features overlapping low profile studs to avoid lateral flex during hard cornering, and so provide positive steering. 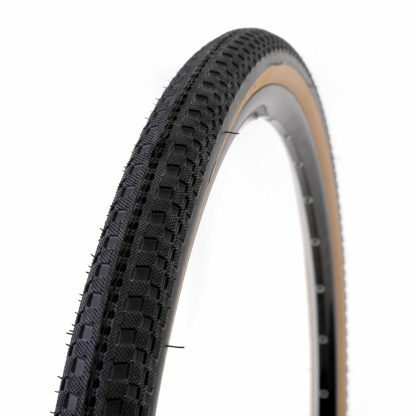 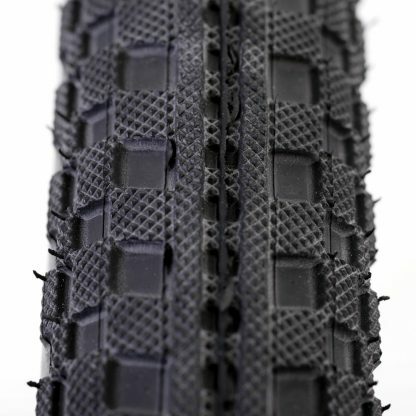 Multi use pressures allow this one tyre to perform in almost all conditions… both on road and off road. 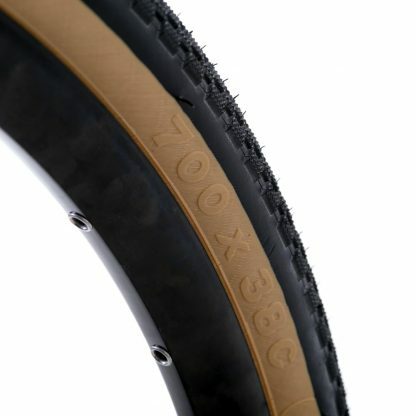 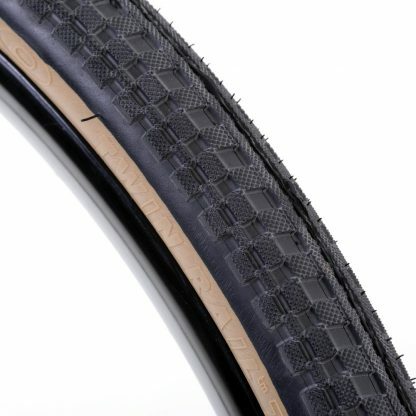 Built-in Puncture Protection System reduces flats.